Do you need a Behavioral/Social Sciences Universal General Education Transfer Component (UGETC) course or an additional General Education course? 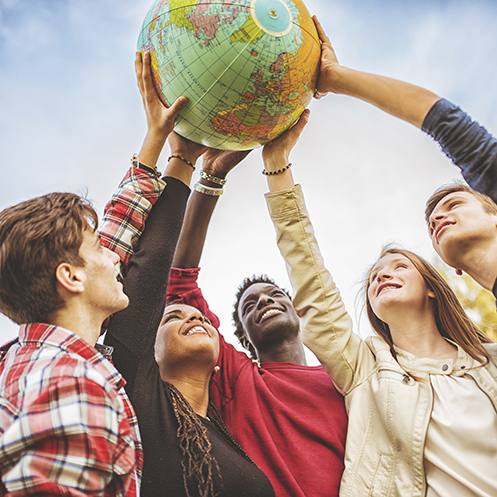 Expand your horizons and explore the world by enrolling in one of these fascinating courses! World Civilizations I (HIS 111) – This course fulfills a Universal General Education Transfer Component (UGETC) requirement. Explore the ancient world! Learn the origins of China, the Middle East, the Americas, and other modern-day countries. Study the beginnings of world religions, including Judaism, Hinduism, Buddhism, Islam, and Christianity. Witness the building of the world’s greatest structures, from the pyramids of Egypt to the Great Wall of China, the Taj Mahal, the Colosseum, and the Aztec temples. World Civilizations II (HIS 112) – This course fulfills a Universal General Education Transfer Component (UGETC) requirement. Explore the modern world of China, India, Japan, Africa, Europe, the Middle East, and the Americas. Examine important independence movements, the French Revolution, and the World Wars. Study the cultural transformations in art, music, literature, and architecture that created the modern world. World Religions (REL 110) – This course serves as an additional General Education option.